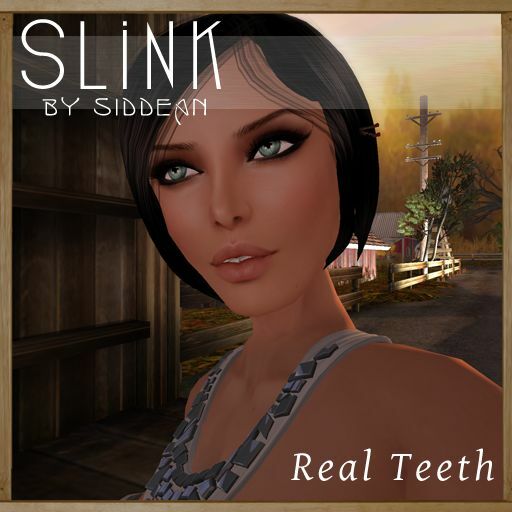 SLink is very pleased to announce a brand new item in the store: sculpted teeth! Super easy to fit, they are a great enhancement to any avatar no matter what your skin tone. 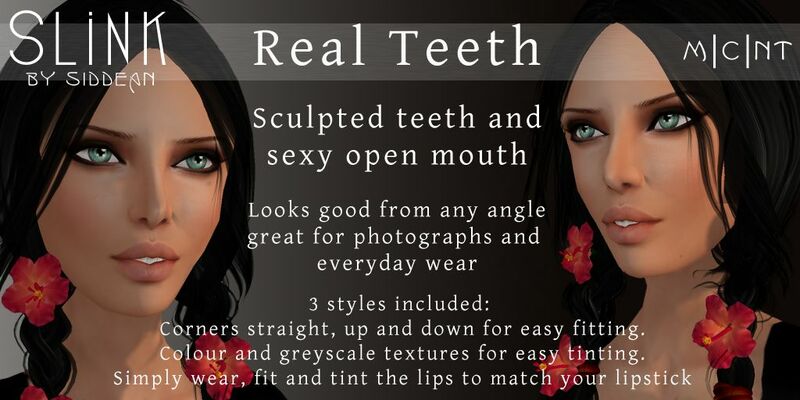 There are six different versions included in each package, with each tooth modifiable and featuring different mouth positions so you can achieve the look you want! Perfect for photographers too! If you have any questions about this release, please contact Ms. Phoenix Chapman. In case you have been living under a rock, One Eleven is a unique shopping experience for SL. 45 designers including yours truly were selected to provide an exclusive, limited edition showcase piece for this event! I thought long and hard about what I would do, and worked my fingers off to bring you the Firefly Stilettos! You have the choice of 2 different platform types, either match your platforms to your shoes, or throw on a gorgeous glitter for party mode!